The organ of the Sagrada Família will eventually have 8000 pipes, that are being installed everywhere in the huge space of the cathedral. It will mean that the organ sound will come from everywhere. Well, what kind of music (transcribed for this 3D instrument) would be fitting for this place? 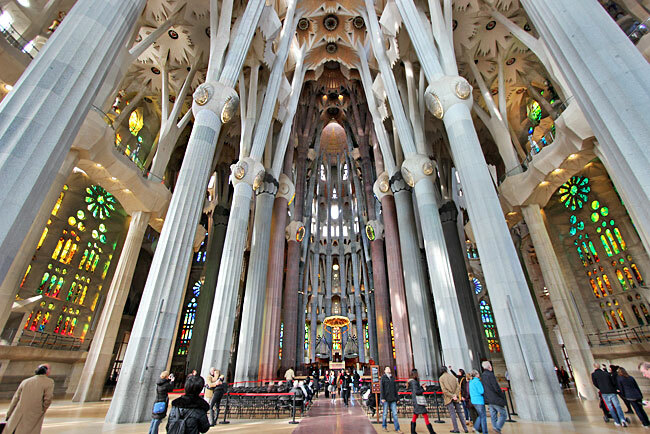 The connection between Gaudi and Messiaen has been made many times; I can hardly think of another composer whose organ music would seem to be such a natural fit (although it might be pointed out that the one colour Messiaen wasn't so fond of was yellow). Like to see / hear it at that time. How far transcriptions to organ music can go? Impressionist organ composers? All times are GMT +1. The current date and time is Apr-25-2019 17:23.